Nazareth is full-service account and tax provider comprised of Certified Public Accountants (CPA) and Chartered Accountants (ACA) with decades of experience working with top accounting firms, corporations and high net individuals. We provide high-level, strategic, management consulting, coupled with accounting, auditing, domestic, and international tax consulting to clients around the world. Our clients are typically mid-market companies with $25 – 200 million revenue in the sectors of real estate & construction, medical practices, and technology companies. We also provide accounting, auditing, and assurance services. Nazareth provides comprehensive audits, reviews, and compilation services for numerous. Aside from traditional asset management, we also assist with mergers and acquisitions and due diligence for potential investment opportunities. Cecil Nazareth is a partner with NAZARETH CPAs – Global Accountants a CPA firm with offices in the New York City tri-state area. The firm specializes in international tax and accounting, particularly for SME companies, subsidiaries of foreign parents and High Net Wealth Individuals families in India and the U.S.
A nationally renowned leader on International tax and accounting, Cecil Nazareth is a Chartered Accountant and a US CPA and understands the differences the complexities of US and Indian taxes having practiced in both arenas. He is a Professor of Global Accounting at Fordham University in New York City. Nazareth has appeared on ITV’s Renee Report year-end tax planning report and has spoken at the Diamond Jubilee of Indian Chartered Accountants of India (ICAI) on the role of a Global accountant and International tax. He has conducted several International tax sessions including sessions for the ICAI and the Bombay stock exchange CFO magazine and several CPA firms and companies around the world. Previously Cecil worked with AICPA’s SEC Practice Section reviewing Technical issues peer reviews of several large CPA firms performing SEC related work. Before joining the AICPA, Cecil worked at Ernst and Young specializing in the financial services industry. His international experience includes the practice in the Middle East and India. He has an MBA in finance from Fordham University and Information Technology from Columbia University in NYC. Cecil is considered a thought leader in the International accounting (IFRS) and International tax. He has been teaching Global Accounting at Fordham university (Gabelli School of business) both graduate and undergraduate level for the past 7 years. He has trained large CPA firms and companies on IFRS. He is also a guest lecturer @ Jack Welsh School of Business Sacred Heart University in Fairfield, CT. He is the author of a book “International Tax & Compliance Handbook” (with special emphasis on US-India taxes). • Spoke @ the Asian American Association – shared stage with SEC representation and KMPG lead partner from China and SEC person reviewing IFRS filings. Also spoke @ the international conference held by the Institute of Chartered Accountants in India on IFRS. • Conducted a one day workshop for the Bombay Stock Exchange on IFRS in July 2009. • Leading the IFRS training and conversion effort for largest Japanese firm in US. • AICPA SEC practice Section – Cecil was a Senior Manager in the Peer review section of the SEC Practice section and performed technical peer reviews of Major CPA firms. • Audit Supervisor at Ernst & Young and did Audit of financial institutions. As managing partner of Nazareth, Cecil brings over 30 years of international and domestic tax and accounting expertise. Cecil earned his Chartered Accountant in 1982, and his CPA designation in 1986. His accounting and consulting experience mostly for clients in the United States and India, but has helped clients in many continents. Cecil is a former Audit Supervisor a Ernst & Young, a Technical Manager at the United States Securities and Exchange Commission Practice Section, and Director of Internal Audit and Organization Strategy at the The American Institute of CPAs (AICPA). Cecil teaches and consults all over the world on accounting and tax subjects. His expertise in International Financial Reporting Standards or “IFRS” is among the world leaders. He is one of the thought leaders in the IFRS space and have been quoted by countless newspapers and magazines. Currently, he advises several large CPA firms on their IFRS strategy and works with them on developing IFRS competencies within their firm. Chris is the Managing Partner of the Real Estate practice and is considered a leading expert in real estate and construction, formerly serving as Lead Partner for CNY builders. He specializes in Mergers and Acquisitions (M&A) and due diligence and has executed several engagements in this space. He has years of experience assisting with advanced corporate and personal tax planning and compliance as well as strategic consulting. Chris is also skilled with financial and management accounting after serving as the CFO and Controller for large organizations, such as ITC Limited. Clem is the Managing Partner of the Tax practice where he specializes in representing domestic and international small and medium enterprises. 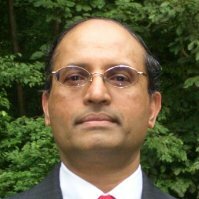 Chem has broad tax experience after working as Audit Manager at BDO USA, CFO at Pfizer India, and Controller at Warner Hindustan. This blend of business, audit and tax experience helps him consult many international clients through complex tax issues. He continues to advise high net worth individuals, where he offers services covering estate planning, wealth management, budgeting, insurance, charitable giving, family-owned businesses management, and wealth transfer. We have been a client of Nazareth CAs & CPAs for over three years now and are very pleased with our relationship with them. We work directly with Cecil who has proven over the years that he’s not just an expert with accounting, tax planning and tax filing but also a very amiable, courteous and patient individual. He’s very easy to work with. He asks the right questions and leaves no stone unturned to ensure that his clients understand and claim all the tax deductions applicable to them. He is able to come up with creative and tailor made strategies for each client because he puts in the effort to understand his clients, their personalities and most importantly, the nuances of their business (with corporate clients). We highly recommend Cecil and Nazareth CAs & CPAs for your accounting, auditing and tax consulting needs. Over 5 years ago, I was introduced to Cecil Nazareth, by my Financial Advisor. My parents had left me some assets, in India, which required navigating complex Tax reporting requirements in both countries. With experience in both U. S. and India Tax laws, Cecil and his Firm have been extremely helpful with both Tax planning and reporting for us. Many of us who have settled here are in a similar situation and I have taken the liberty of recommending him to my friends & acquaintances. Don’t be fooled by his humble demeanor. 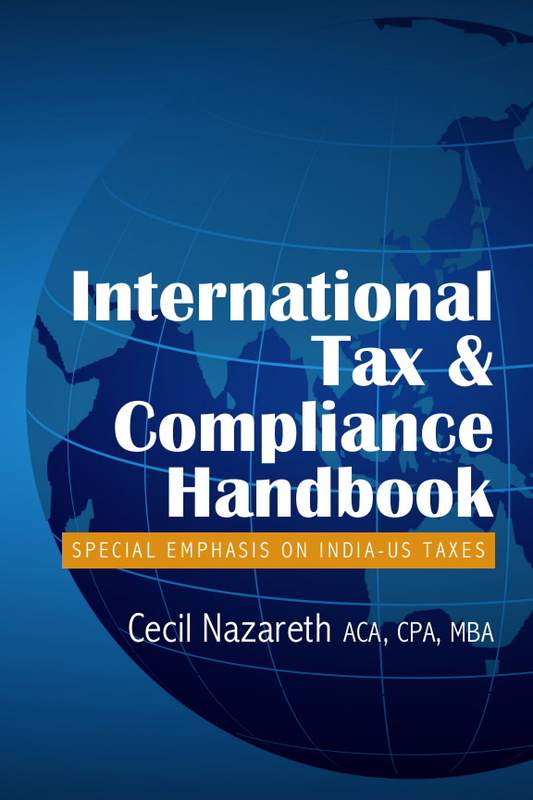 Cecil Nazareth is one of the world’s foremost experts on international tax and accounting issues, particularly between the U.S. and India. Nazareth will make you smarter, better informed financial decision-maker. The International Tax & Accounting Handbook is the next best thing to being with him in person. There has never been a time to share this body of work with taxpayers around the globe.